This post about Fun STEM Activities for Kids has been sponsored. All opinions are my own. If you have been following my blog for a while, you may know that before I started blogging, I worked in the science field. STEM learning is something I am utterly passionate about and my husband (also a scientist) and I have spent many hours doing science experiments with our kids. What is STEM? STEM is an acronym for Science, Technology, Engineering, and Math. It is a vitally important educational activity for kids of all ages. Stem activities can be a load of fun and you don’t need a science degree to do them with your kids. 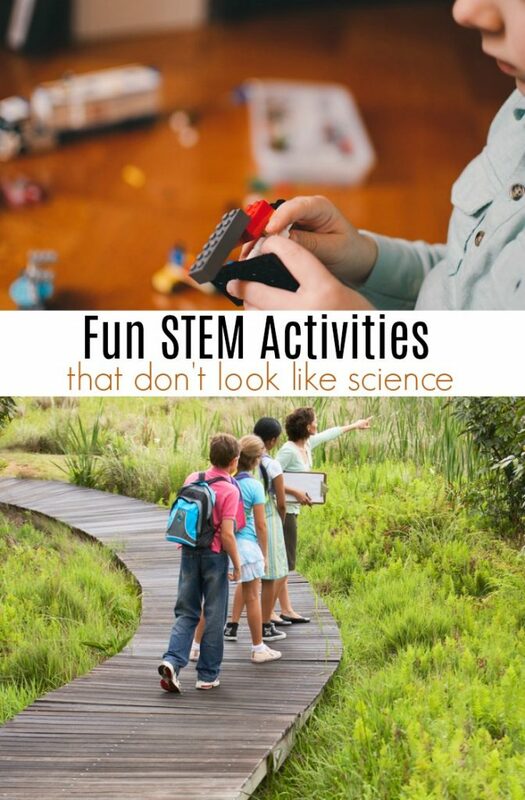 In fact, there are a ton of fun STEM activities that don’t even resemble ‘science’. Want to encourage STEM education in your kids? Keep reading for a few activities that families can do together, even if you don’t consider yourself a scientist. LEGO are not just for kids. And certainly not just for YOUNG kids. 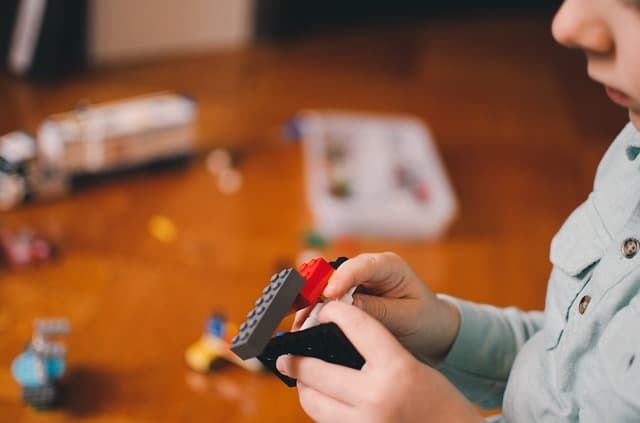 While my toddlers loved playing with those brightly colored blocks, teens and adults have many options when it comes to LEGO kits. Buy a LEGO set for your family and sit down after dinner for an hour of building. You can get some great deals on LEGO sets if you are on a budget. These kits provide a hands-on experiences that stimulates communication, creativity, collaboration, and critical thinking skills. These are all vital skills when it comes to success in a STEM field. When I was in high school, we had to do a presentation in chemistry class. I chose to do a project titled ‘The Chemistry of Fudge”. I wrote an entire paper and presented it to the class on the chemical process of making homemade fudge. Changes in heat, sugar molecules, and all that fun info. And then I handed out homemade chocolate fudge to the class and my teacher. I got an A on that project. I think the fudge was a huge hit with the teacher! The science of cooking is fascinating and if you have a budding chef (or want kids to survive after they move out), you should encourage them to learn how to cook. 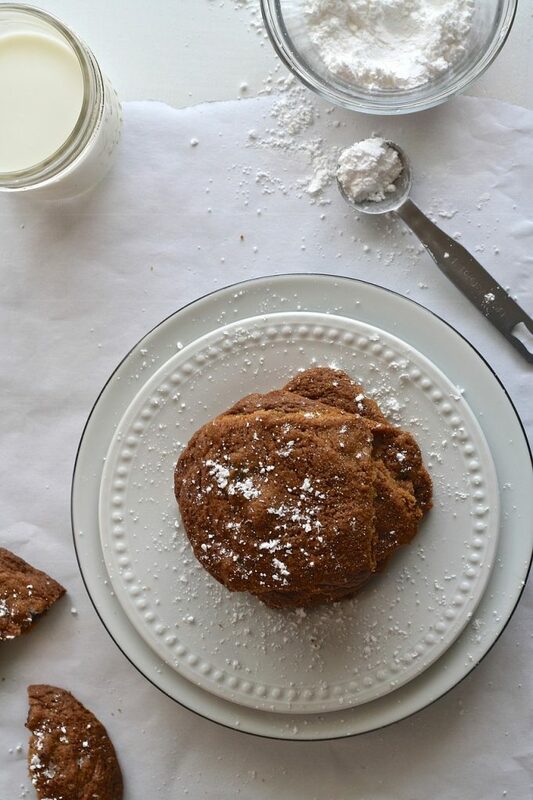 And then, check out Stemjobs.com and learn more about the science behind your favorite recipe! I have shared on my blog many times about our love of music. From pairing music and wine to learning how to play the guitar, music is a part of my family’s life every day. And music is also a great STEM learning activity. 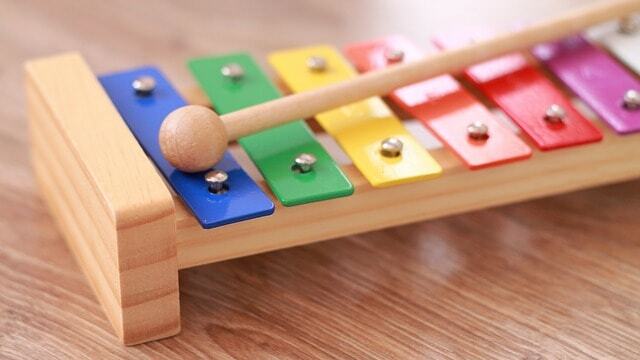 Whether it is your toddler’s first xylophone or you and your teen check out a local band together, if you are looking for fun STEM activities for kids, investigate music! Singing with your kids, playing musical chairs, and dancing along to a CD of children’s music, builds STEM skills in your kids. From studying pitch and rhythm, to clapping out a pattern of sounds, your kids are learning when they listen to music. 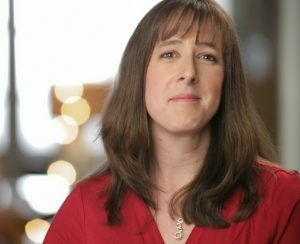 Check out Teachpreschool.org for a fascinating look at how music plays a part in STEM activities. Grow Sulfur Loving Bacteria With Your Kids! Puzzle play helps boost learning of important math-related skills. Jigsaw puzzles are a fun family activity and they’ve been proven to be beneficial for brain development. Even better, puzzles can be found at garage sales and cost significantly less than many fancy electronic STEM toys. What sort of STEM concepts do puzzles teach? They integrate strategy, problem-solving and even hypothesis skills to solve the puzzle. 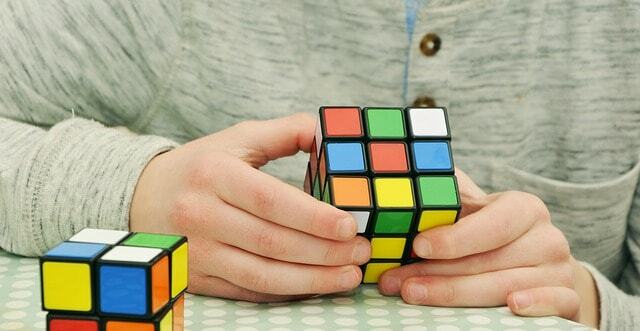 There are plenty of STEM learning skills to be found in a simple puzzle! One of my all time favorite fun STEM activities for kids is going for a hike. Honestly, one of the best things you can do to encourage STEM learning in children is to take them outside and let them explore nature. You cannot go outside and NOT see a STEM concept. Balls roll; things that fall, break; water and wind create changes everywhere from streams to leaves falling off trees. 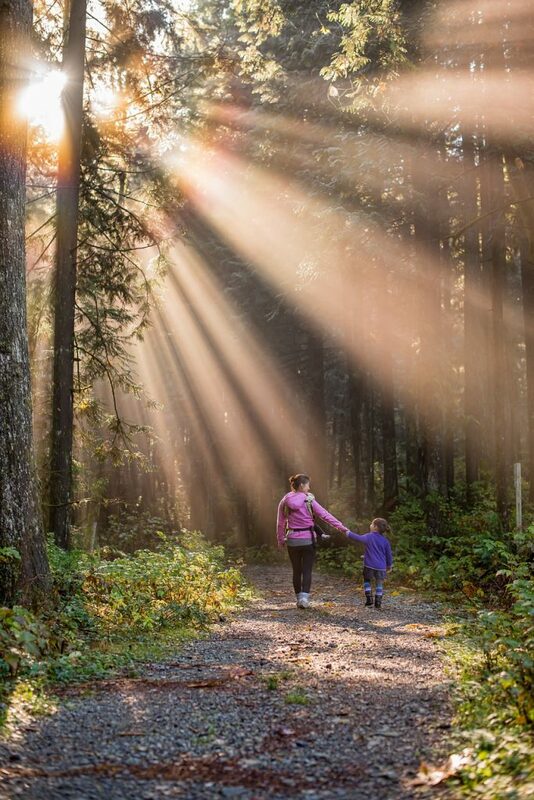 And the great thing about hiking with kids? It is free and you can do it just about everywhere. All without a computer, special counting blocks, or even electricity. You don’t have to go to a science museum in order for your drive to be a STEM activity. Just put away your GPS and grab a map instead! Map reading is a fun STEM learning activity you can do with your kids. Going on a long distance road trip? Let your kids help you plan your route! Learning map skills encourages spacial thinking, which is critical for success in many STEM fields. Check out this post on National Geographic to learn more about how map reading encourages STEM success in kids. Check out my post on how to encourage STEM learning in teens for more great educational info! Have any other fun STEM activities for kids that YOUR family enjoys?